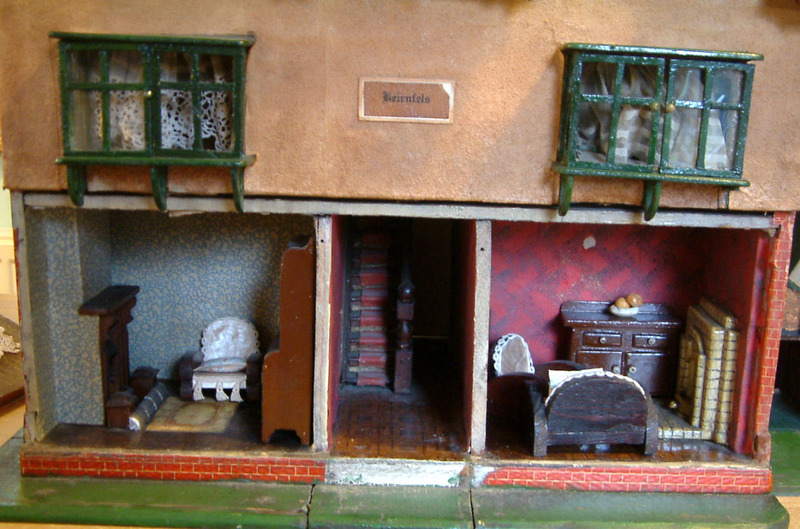 Have been continuing to list unsold stock from last week's fair onto my website this weekend....amongst which are these two lovely and very old dolls houses - both of which you have seen before on KT Miniatures Journal, therefore will keep this brief! 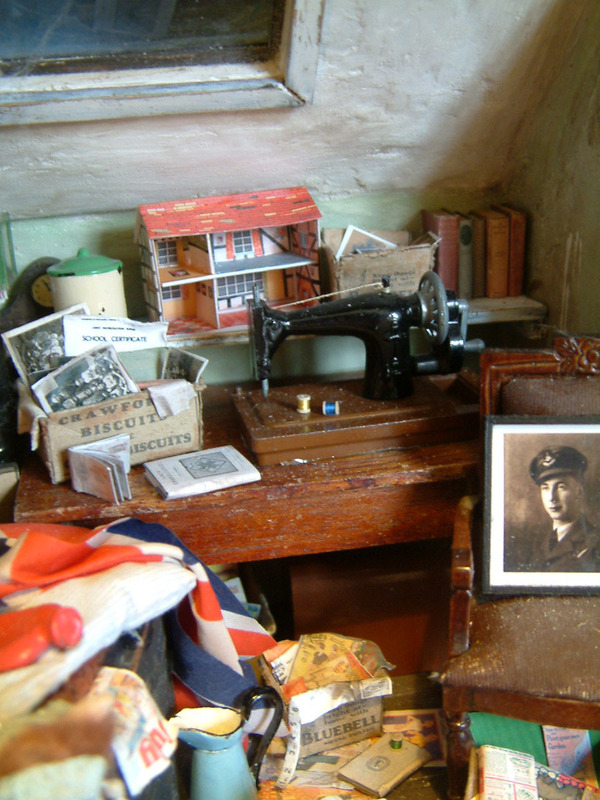 So....this c1930s-1940s Hobbies 186 Special is now up for sale on KT Miniatures. In restored condition with antique wallpapers, this is simply ready to move into! 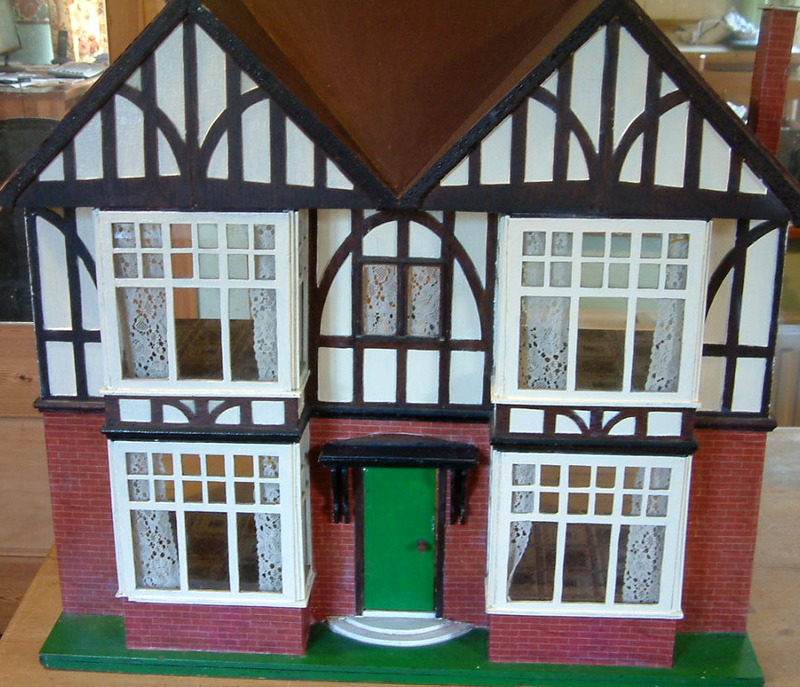 The second house to have gone up for sale today is this truly wonderful and rare c1930s dolls house complete with furniture. 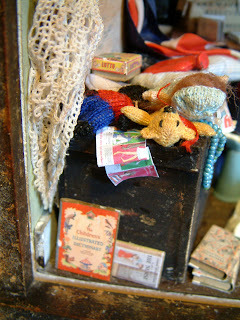 Lovely Pit-a-Pat .....Including A Rare Item! 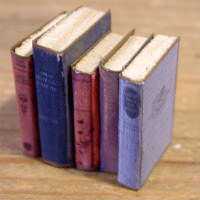 The handmade miniatures from my Exclusive Items Range have more or less now been listed and updated on KT Miniatures website so am moving onto listing a lot of vintage and antique items. 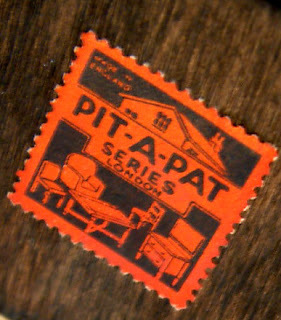 As you know, I am a lover of anything c1930s.....and particularly anything made by Pit-a-Pat. 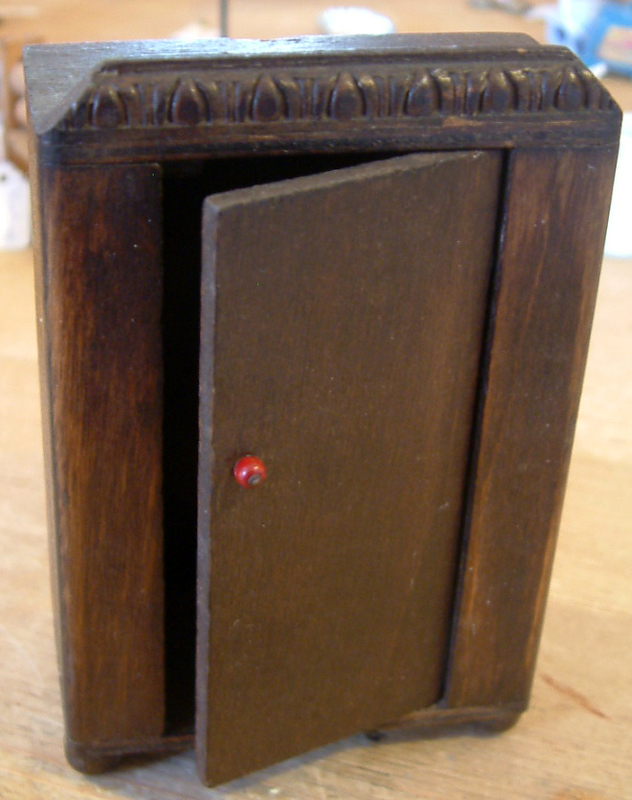 At the moment, unusually, I have several of these particular pieces available including one quite rare item that we have not had in before......even though it is missing the broom, I think it is gorgeous! 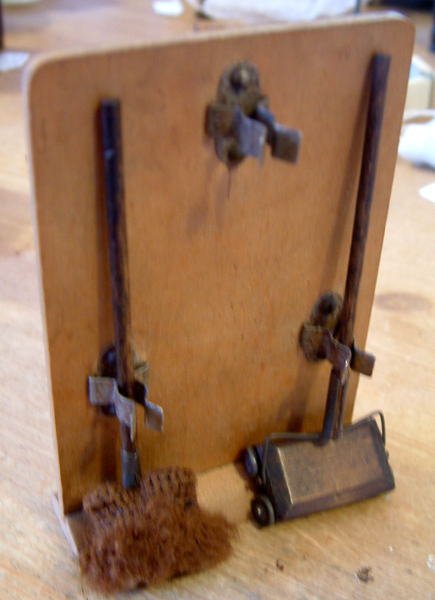 It consists of a wooden stand with three attractive metal clips. 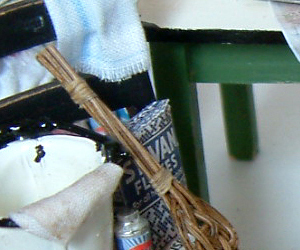 Although the broom is missing, the original mop and carpet sweeper are still intact. 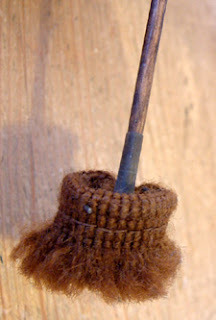 The sweeper is wooden with metal wheels and the mop has a wooden handle plus a wonderful woollen mop head which can be manipulated! 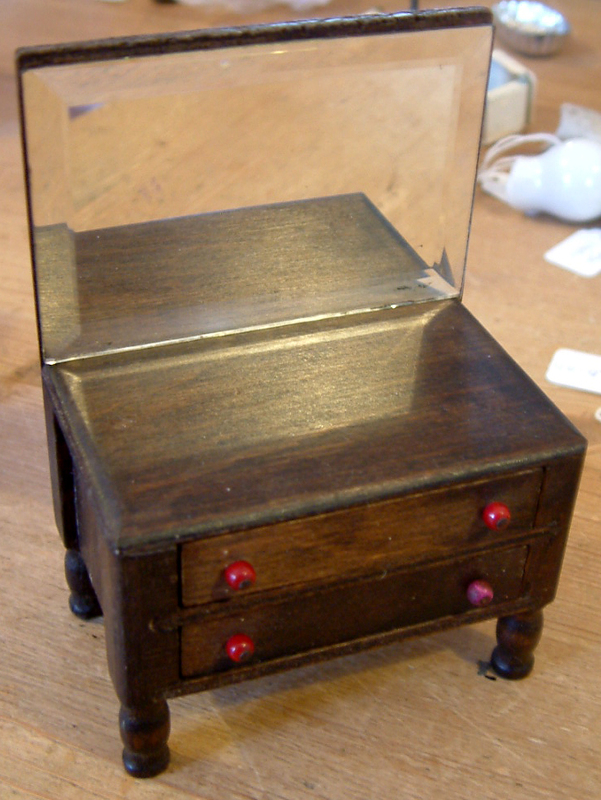 There are also some bedroom pieces including this dressing table and wardrobe, all refreshingly in excellent played with condition. Most of the Pit-a-Pat items that are currently for sale still have their original red and black labels on - such as this one seen here. 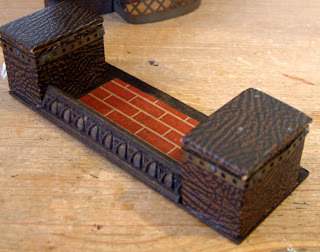 Another Pit-a-Pat favourite of mine is the hearth with the two tiny rexine covered seats, one each end. How wonderful is that...and sooooo very 1930s!!!!! 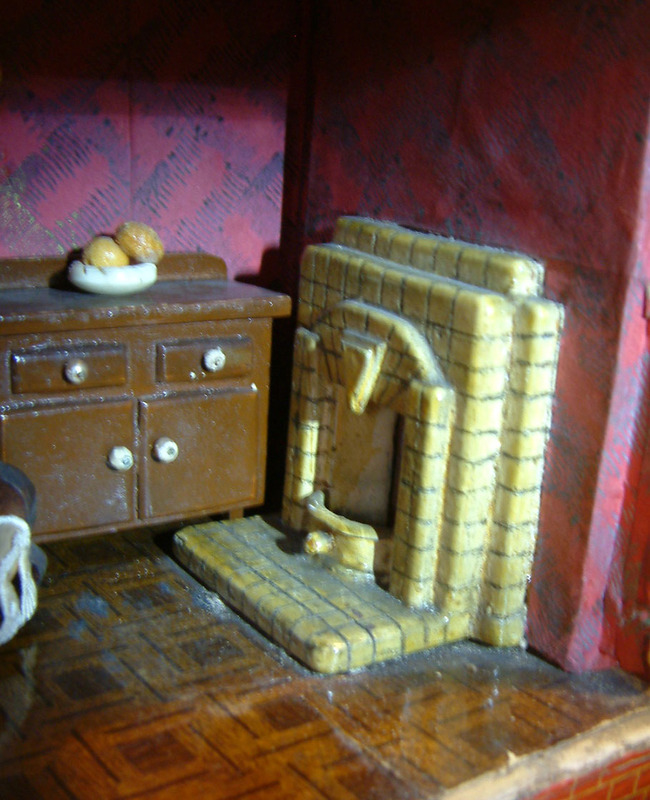 Currently, there is also a fireplace for sale, that goes with this hearth.....all in completely original condition. 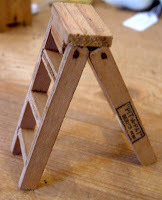 Finally, another little Pit-a-Pat piece that we don't get in very often is this wonderful stepladder, solid and in great condition. 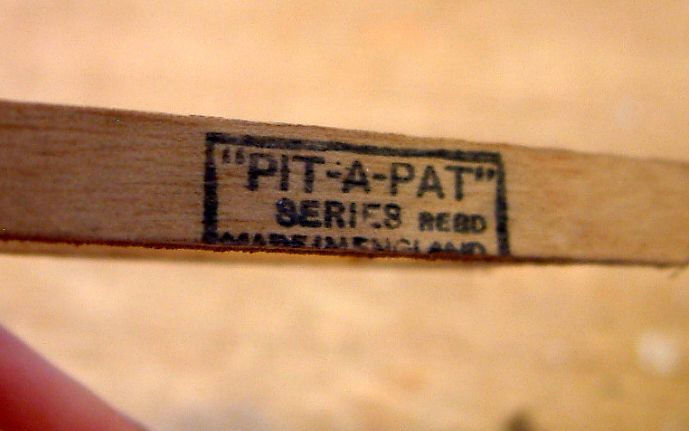 Seen here is the Pit-a-Pat ink stamped trade mark, situated on the side of the ladder. I shall be continuing to list more vintage stock today and over the weekend......and will highlight some more of the special and more unusual pieces on here, at the same time. 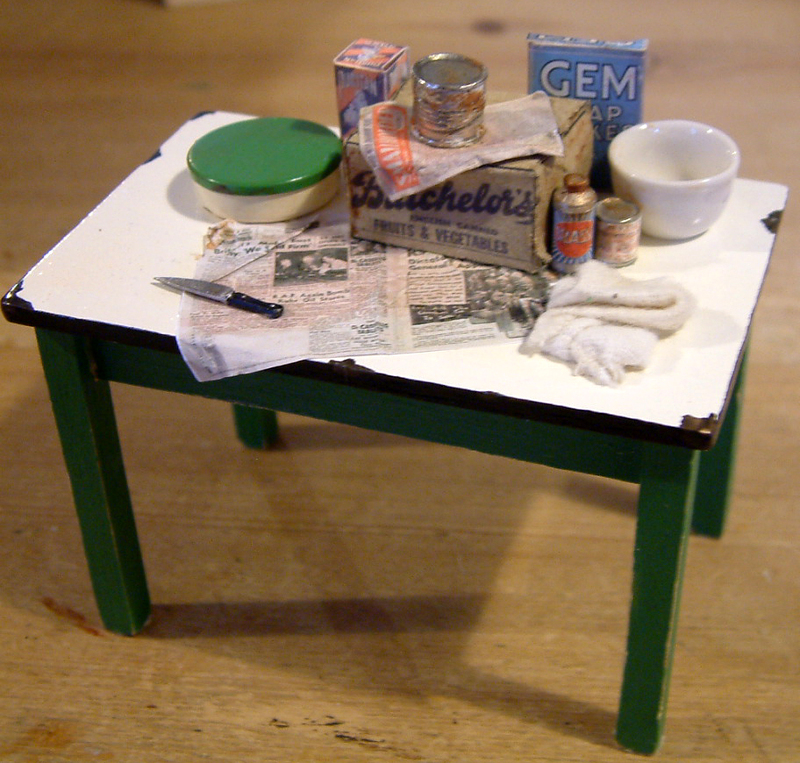 So do please keep checking KT Miniatures website and please don't hesitate to get in touch if you would like to order anything. A Bit Of Website Jiggling Plus Lots Of New Handmade Goodies! 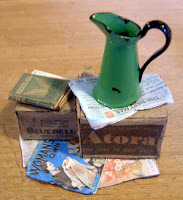 Stocktaking, photographing new stock, listing items up onto the website and jiggling the website around a bit has proved more time consuming than I first imagined today....but am pleased to say that various new handmade goodies have been added to KT Miniatures, so are now available for sale. 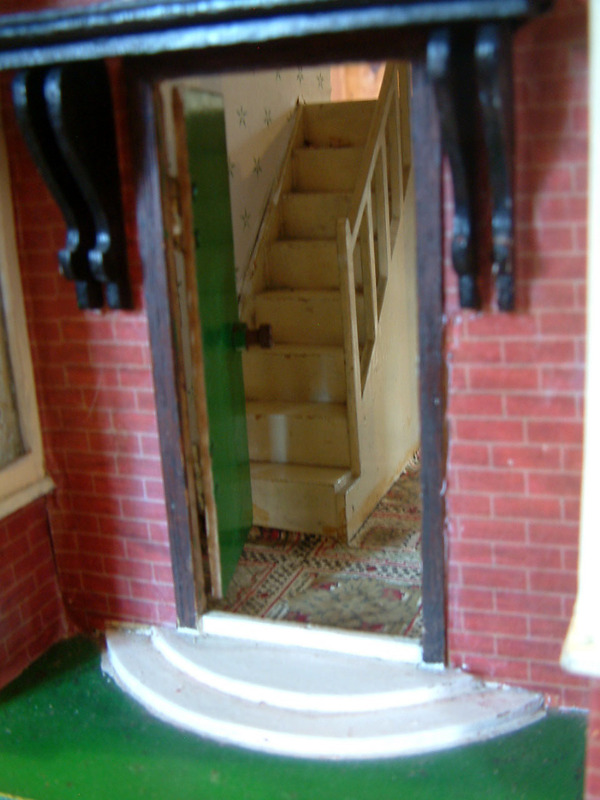 There is a new access page set up with an image of a little 1930s dolls house so now you can come in and visit the various rooms! Hopefully this will make navigating a little easier. There are some wooden beds with mesh bases including mattresses in the Bedroom range....and some little set pieces to sit under a bed too. 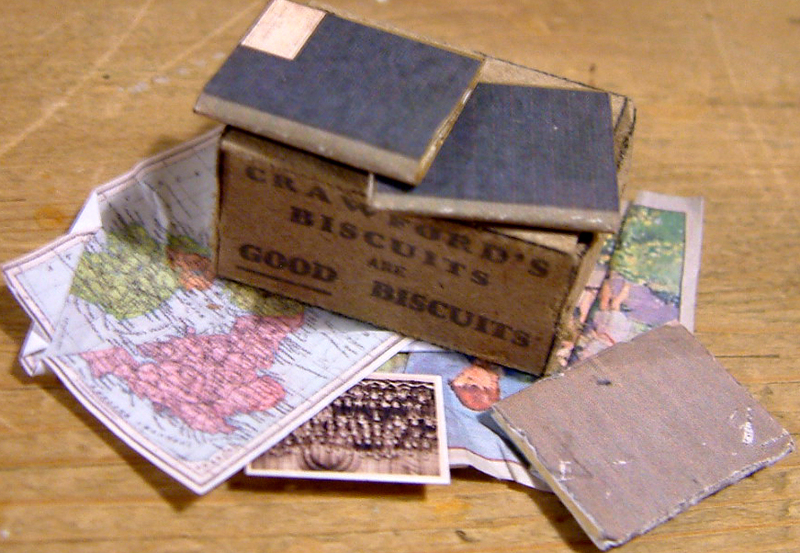 Various fixed sets are now available on the Childhood page, including these 1930s schools books, poster and map. For something a little different and a change in era, are some tiny sets of real vintage plastic dolls sitting amongst replicas of 1930s books and a 1950s children's dictionary. 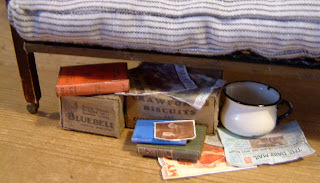 Various new items can now be found on the Living/Dining Room page including some 1930s fire screens and another rexine effect sofa with a rather mucky throw plus handpainted '30s cushons and some books etc. 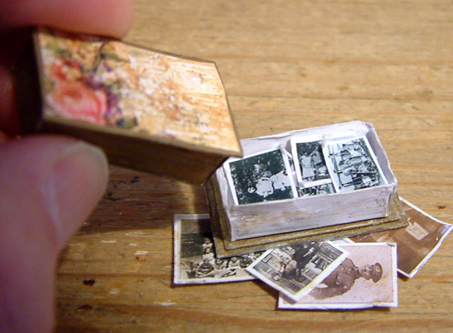 There are a few new items such as various vintage choccie boxes filled with old photos and sets of KT Miniatures five books, all now available on the General page. 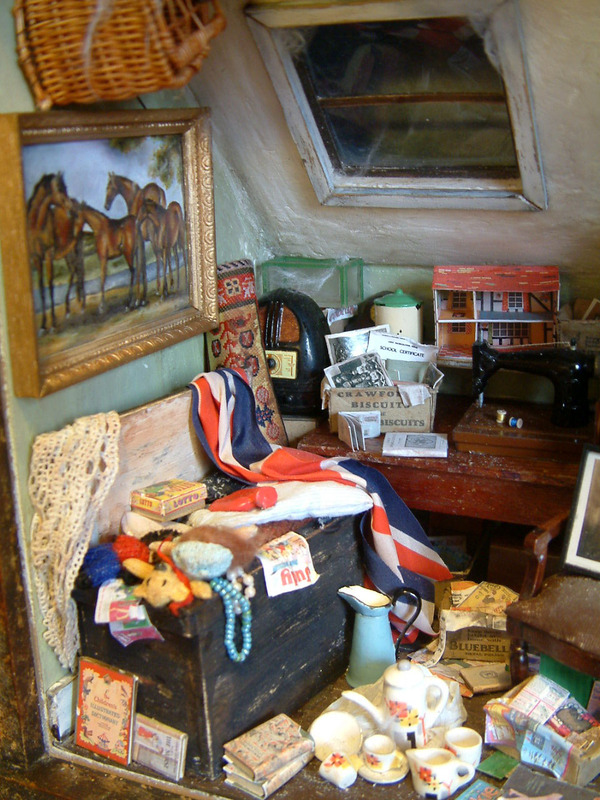 And finally today, I have set up an Attic page.....as I realised that this is my favourite room of the house and many of my creations could fit into this category. 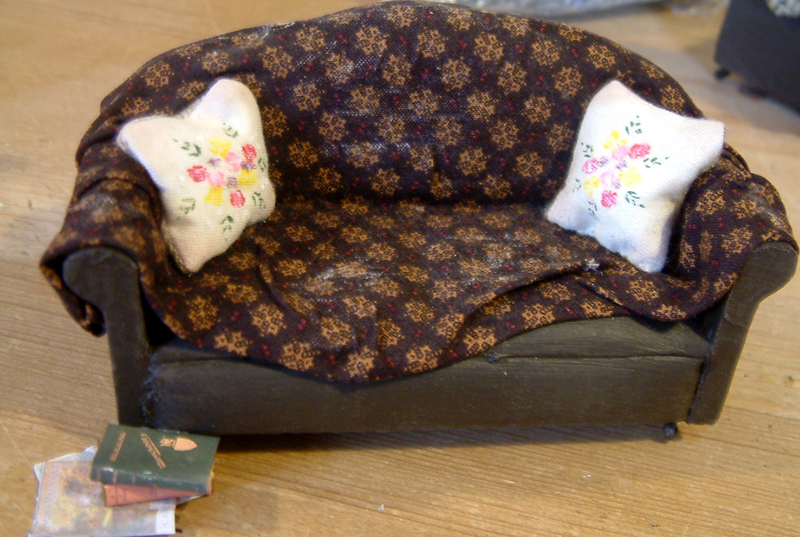 I hope to get the Shed,Outhouse & Outdoors page sorted tomorrow...then I can embark on loading literally dozens of vintage items (I kid you not) including dolls houses. 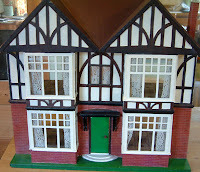 All my handmade items have been given an aged look so are suitable to be used with both modern reproduction dolls houses as well as vintage. FANTASTIC NEWS FROM LAST SATURDAY'S FAIR! I have heard this afternoon from Felicity, the organiser of Thame Fair, that the current total raised for Breast Cancer Campaign at Thame Fair on Saturday is a magnificent £2,921.02!!! With quite a bit more still yet to come in...so fingers crossed, we are on course to well exceed £3,000...which is amazing, particularly so in this current difficult economical climate. THANK YOU AGAIN TO EVERYONE WHO MADE THIS POSSIBLE! All Over For Another Year - Big Listing About To Begin! Well...it's all over for another year....but needless to say Thame Dolls House & Miniatures Fair was a tremendous success...smiles all round. As soon as we have a current total of monies raised for Breast Cancer Campaign from the organisers I will let you know....but it is complicated as there will be money to come in from all over the place and will continue to do so over the next couple of weeks. 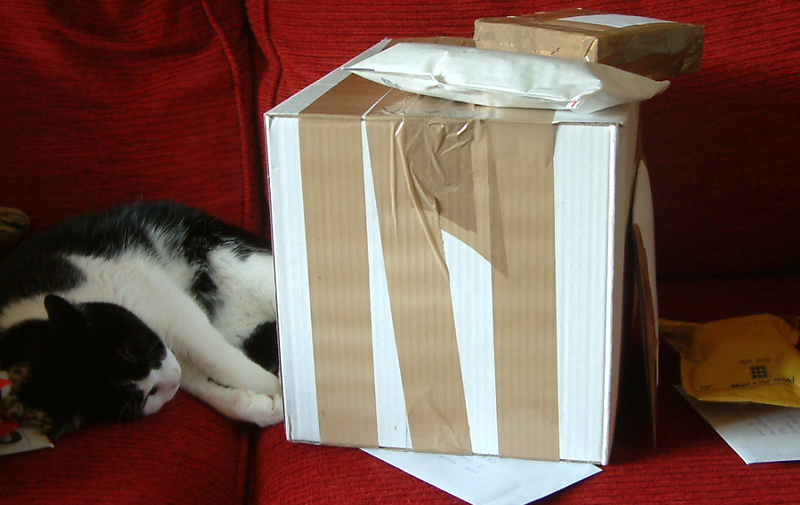 Molly is having to take a nap after all that wrapping up of the first lot of raffle prizes - seen here all waiting for despatch to the lucky winners! I still have several raffle prize winners to contact so if you bought a raffle ticket last Saturday at the fair and your phone rings....hey, IT COULD BE YOU....as that famous saying goes!! 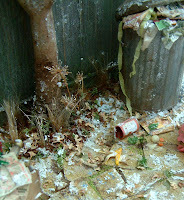 who placed the magnificent winning bid of £300 in the charity Sealed Bid Auction. 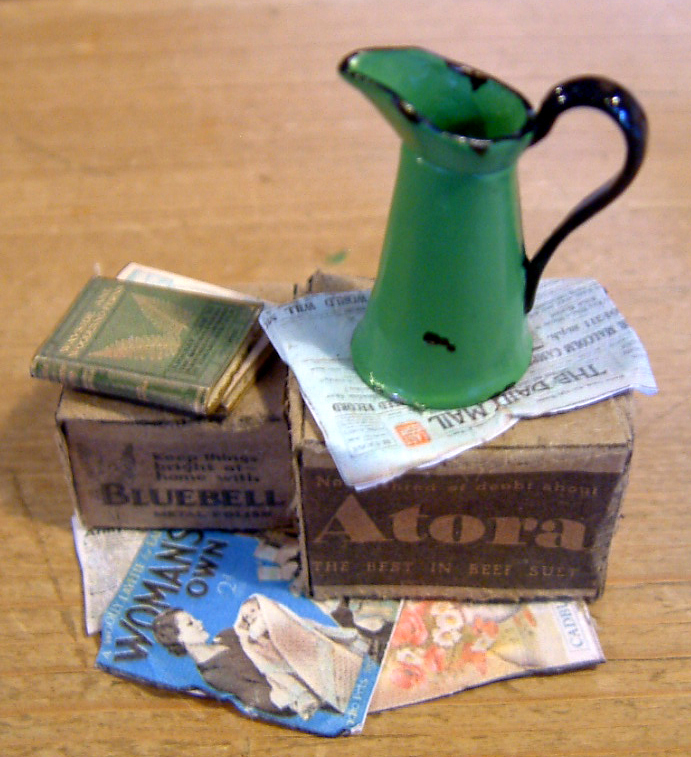 We hope to bring you more about the auction on our Nostalgia In Miniature Workshop Blog very soon, as both Robin and I will be meeting Michelle shortly. I must also thank everyone - artisans, customers, public and all the volunteers who contributed to the charity part of the event. Please spare a thought for the volunteers on the charity Sales Table who worked their little socks off from as soon as the doors opened, right up to the very end. Jill and Melodie as always, were in complete control along with their helpers from the MTM club and Norma......a visitor to the fair who has now helped the ladies behind the table two years running. What absolute stars you all are!!!! Finally, I would just like to congratulate Felicity and Ron Holland the organisers for putting on such a brilliant fair. Now with two Thame Fairs under their belt, I am utterly thrilled and confident that I passed it onto two very capable pairs of hands!! The quality of artisans that came on Saturday was just superb and the atmosphere terrific. Now.....although I had a truly brilliant trading day, met many of you and had some wonderful chats, met up with old friends and made a few new ones, there is of course the inevitable unsold stock to list onto the website. I have spent the past two days recovering from the huge effort involved in preparing for the fair.....am utterly exhausted. Only managed to unload the stock out of the car yesterday and carry up two flights of stairs! 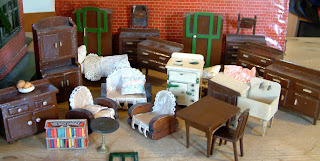 But after a stocktake I will begin to list all the handmade items first under the Exclusive Items Range..... then later in week,the vintage items, so watch this space!!! It is very time consuming so will take some time to complete. However, I will highlight some of them on here shortly....most of them can be used with both modern reproduction houses and vintage houses, as they have been given the usual KT Miniatures aged look! PS. 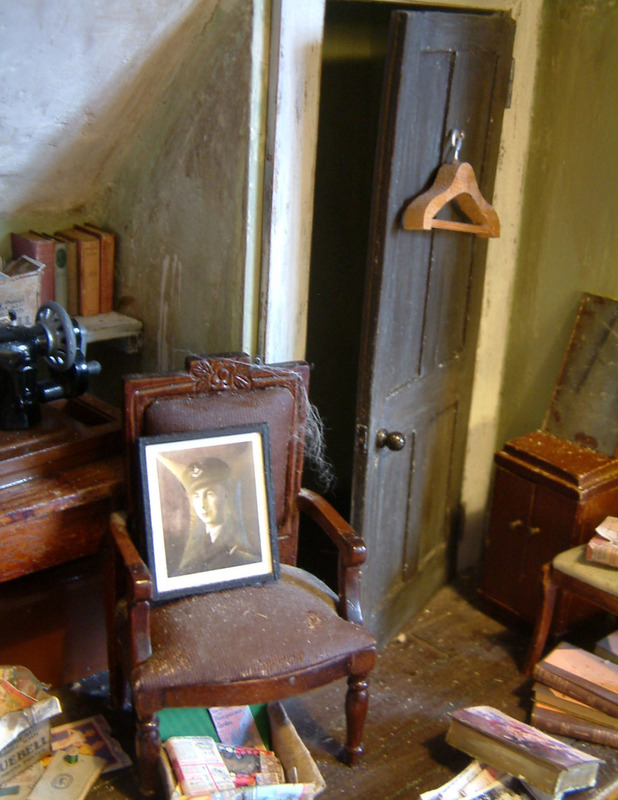 If the gentleman who placed a reserve on the 1930s House on Saturday but failed to return to the stand to leave his full details, is reading this...please get in touch urgently. Sorry but if I don't hear from you within the next 24 hours, then the house will go up for general sale. 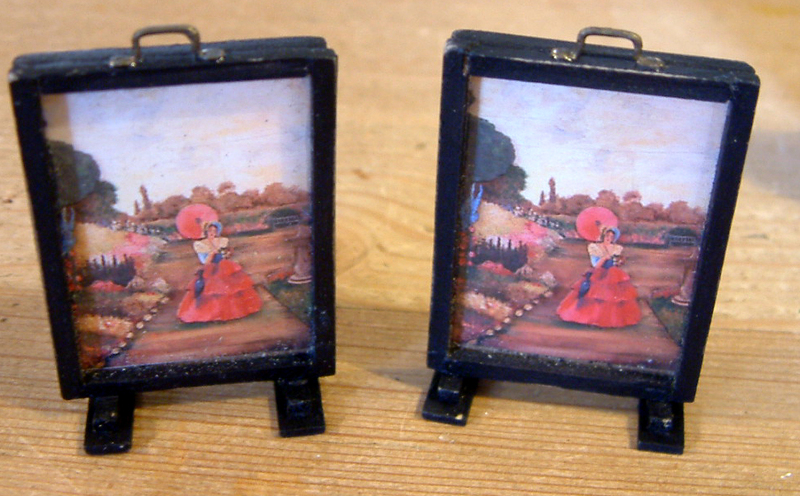 Preparations are now in place and KT Miniatures is ready for Thame Fair on Saturday! We are Stand No 29, in our usual place in the Main Hall near the exit doors. To view an interactive floor plan, CLICK HERE. 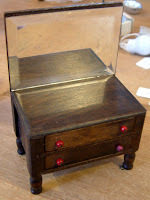 To see the latest on my Thame Fair Stock List.....PLEASE CLICK HERE. The doors open at 10.00am and close at 4.00pm. Hope you can come....it should be a wonderful day! 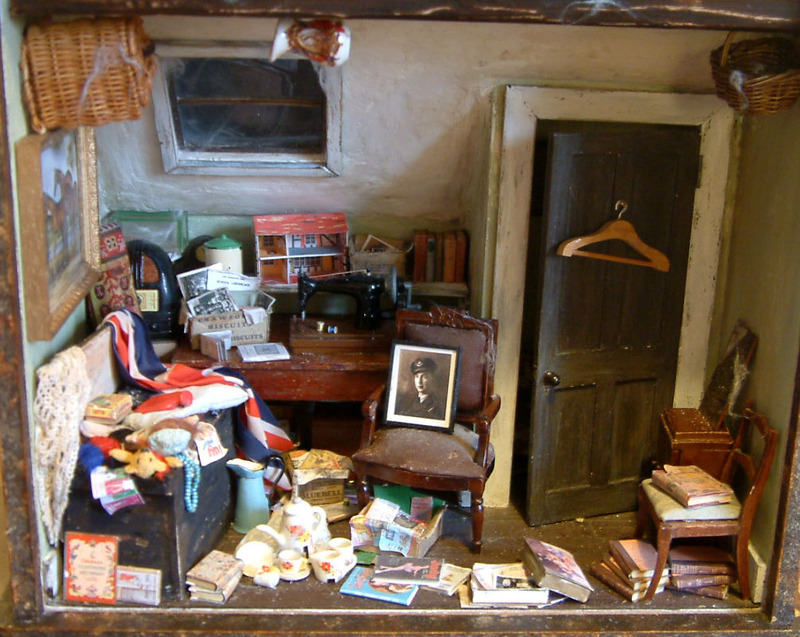 There are 46 miniaturist artisans, many ranking amongst the finest in the UK, an exhibition by MTM Of Thame, plus various fundraising attractions including raffle, competitions, auction and sales table. You are more than welcome to bring unwanted miniature items on the day to donate to the lovely volunteers on the sales table. All fundraising will be in aid of Breast Cancer Campaign. NB. We will not have the facility to accept credit cards on the day. Also to remind you that cheque garantee cards are no longer valid so on cheques over £10.00 proof of address as well as signature is required. There are plenty of cash machines situated down Thame High Street, which is about 8 minutes walk from Thame Leisure Centre. Finally.....just a reminder that the auction closes to online bidding and postal voting tomorrow at 18.00pm GMT. 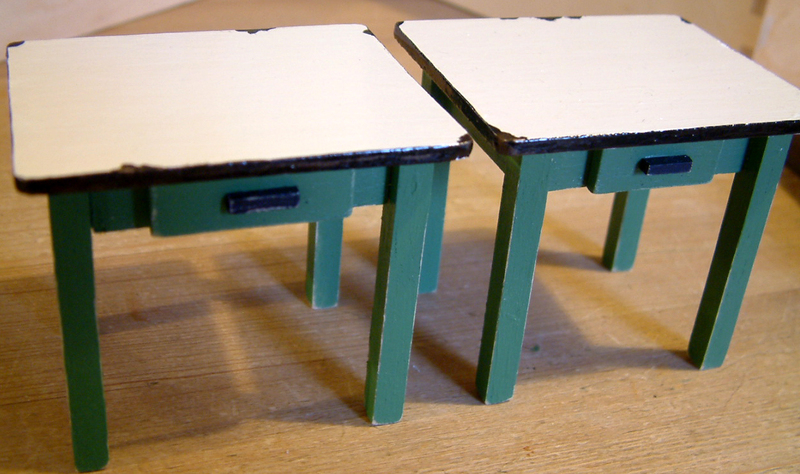 However, visitors to Thame Fair on Saturday can bid in person. For full details of the auction....CLICK HERE. Finally I can show you the little attic room box project in its entirety! Back in November and September on here, I showed you the interior structure at different stages of its creation. Normally I would use wood in creating walls, doors, flooring etc. 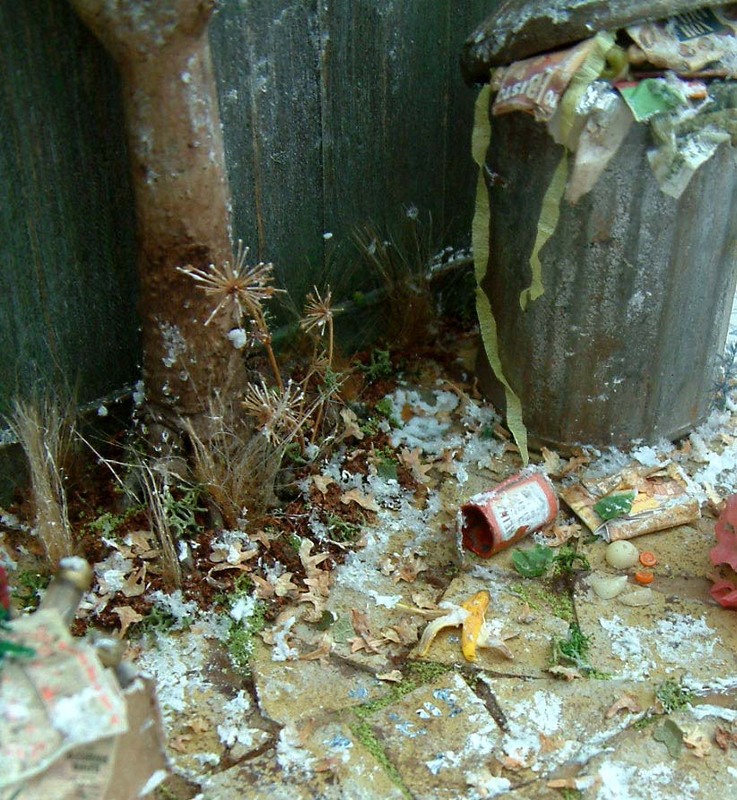 but this time I used a combination of foamboard, card and cardboard as part of a demonstration at our local dolls house club, to show to members that one does not need to be a master craftsman to create little scenes in room boxes (our latest club project was to make an attic scene inside a room box). 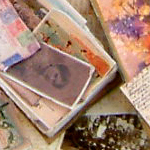 I have filled this with some of my own creations as well as some little treasures accumulated over the years from various sources, including some vintage items. The beautiful painting was created by Ellie De Lacy and I won this in the Breast Cancer Campaign Raffle at the very first Thame Dolls House Fair that was run by the club, back in February 2004. It is beautiful and now I have somewhere to finally put it! 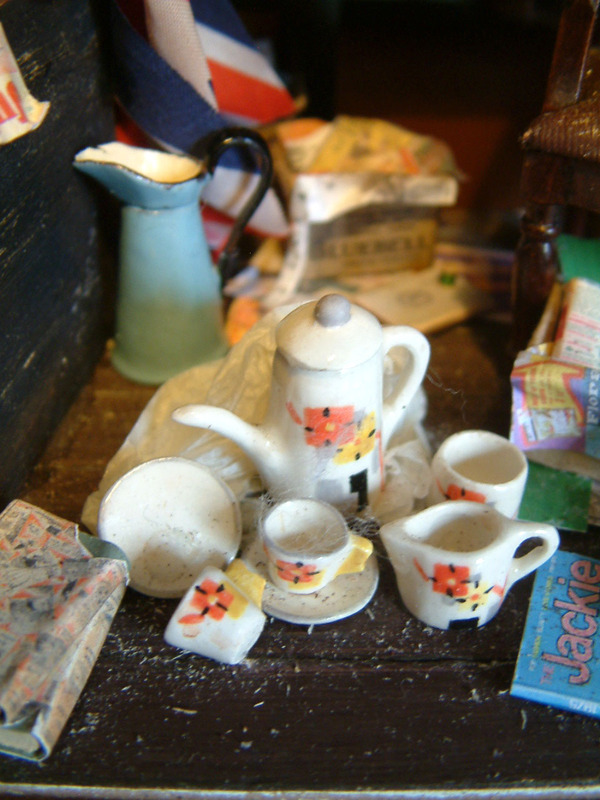 I purchased this little coffee set from an artisan who was at a Surrey dolls house club exhibition, many years ago now, and simply cannot remember the name of the artisan who created it. All this time it has literally sat in a box but now I am able to put it to good use. Some photos are personal touches that are relevant to me including one of my father who was a navigator in WW2 and a photo of my five big brothers and me, all lined up in order of age!!! 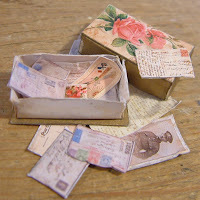 Some more personal touches are a box of Britains Floral Garden lawns, pond box, leaflets etc. 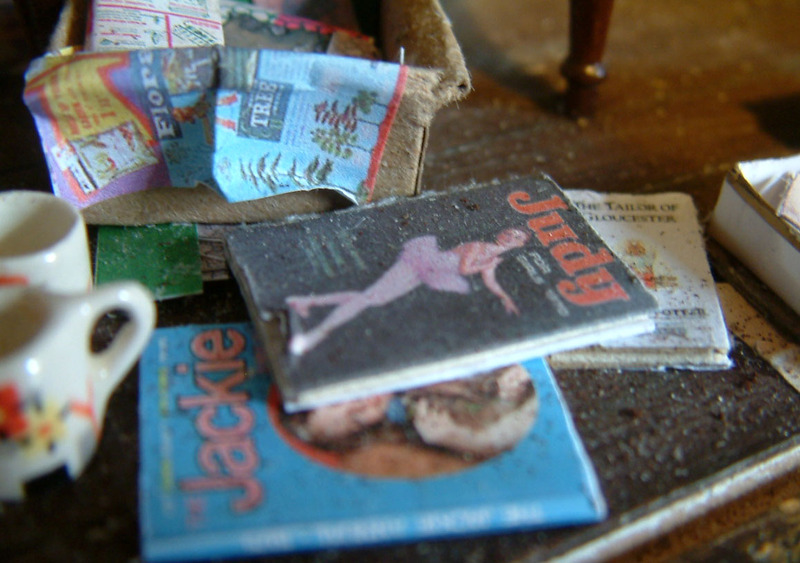 plus Judy and Jackie Annuals, all scaled down from my own childhood posessions. 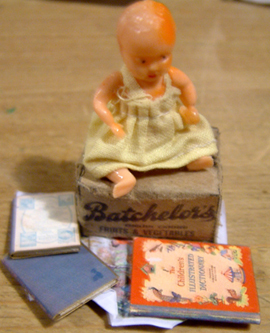 Falling out of the old chest is a Sindy leaflet, scaled down from one that I still have (was anyone else ever in the Sindy Club back in the 1960s)? Plus there is the little family Children's Dictionary and a Ladybird book of The Nurse....two more of my childhood favourites. On the old table is a vintage metal sewing machine and it's lid can just be seen under the table. 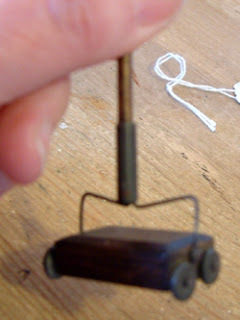 I just adore this and if you turn the handle the needle moves up and down. It is so like the real life one we had that was my mum's. The cotton reels are some purchased off David Edwards at last years Dolls House Festival. Many of the books and ephemera have been replicated and scaled down from the real thing. 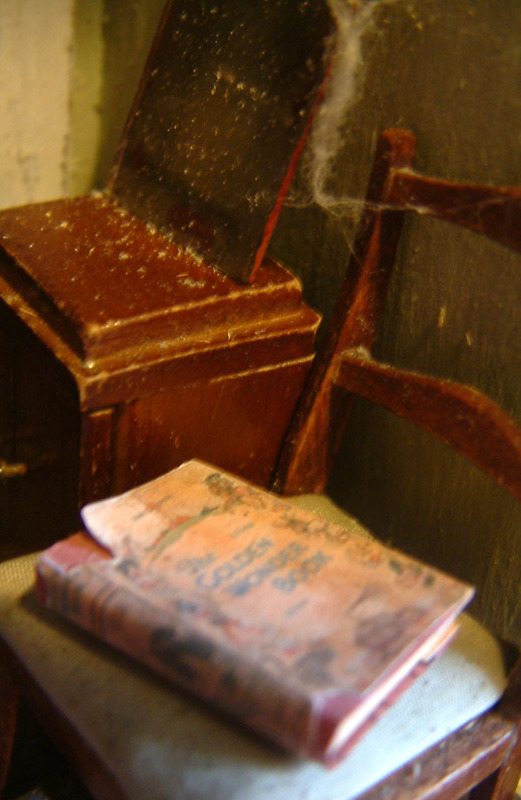 The brown upholstered chair was bought in a sale many years ago from Veronica who started up Key Miniatures - the dolls house shop in Thame (which is sadly no longer here). 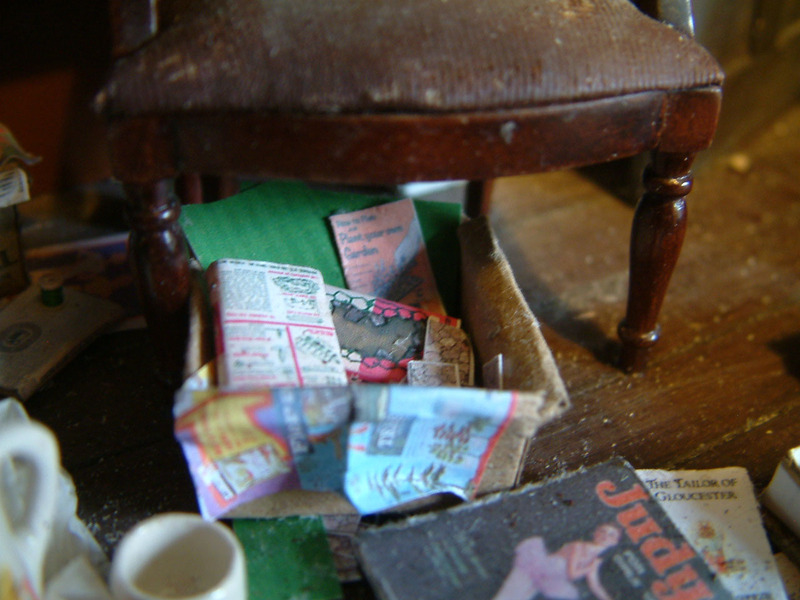 The other chair with green upholstery is vintage and had a broken leg which was stuck back on so that I could use it in this scene. I do still have space to fill but have simply run out of time. After the exhibition this weekend, I plan to sit this on a shelf above my computer for inspiration and will continue to add to it. 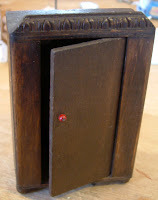 One day I hope to electrify the little back lobby behind the door but for the moment.......this is my little attic project.....hope you enjoyed seeing it. 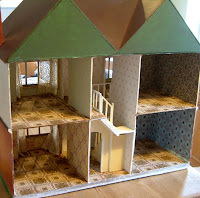 To celebrate, on Saturday at Thame Dolls House Fair, the ladies of MTM will be exhibiting examples of projects that they have undertaken over the past 10 years plus each member will be ehxibiting their attic room box too......do come along and be amazed, they are very talented ladies!!! Some Little Gems Tucked Away Down Thame High Street!! I have been told that in my old age, I have become a fussy old mare....so it takes a lot to impress me! 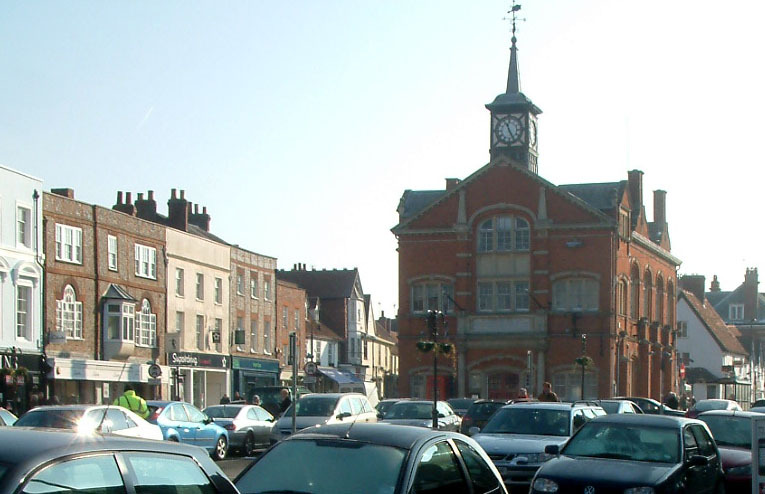 And even though I have lived in Thame for over 24 years now (longest I have ever lived anywhere) I can categorically say that I still love this place as much as I did when we first moved here back in the '80s. 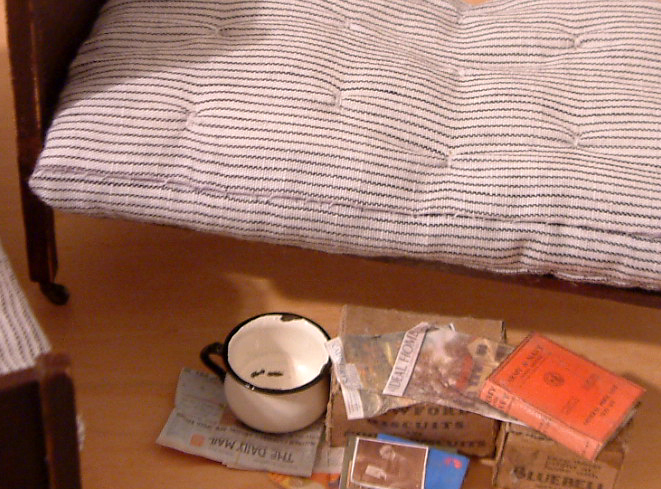 It has a magical historic and some say "sleepy" atmosphere. However "sleepy" it definitely is not....we have all sorts happening in Thame including double murders, floods, fires, the lot ....and I don't mean just when they are filming Midsommer Murders (film crews are often seen around here)! 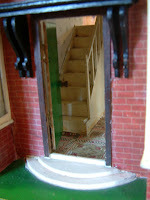 And then of course....there is The Thame Dolls House & Miniatures Fair. 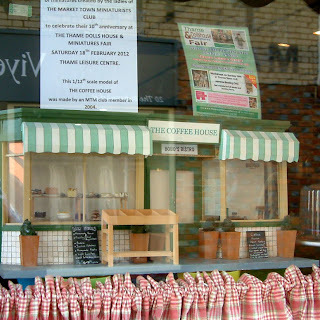 Talking to customers recently, it seems that many of you who have visited the fair over the years....have never ventured up into the town....but you are missing a treat! So, I have decided to impart with you just a few of my favourite haunts in Thame (I don't mean the spooky kind although we have plenty of those too). 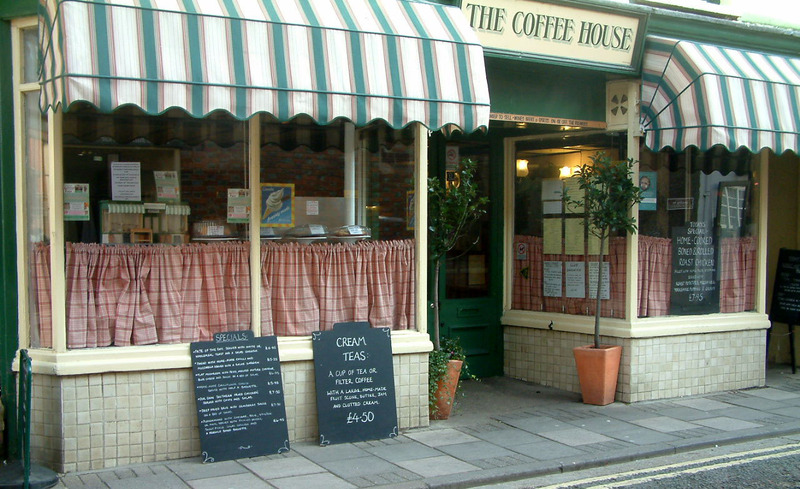 The other cafe that I can recommend for their lovely cakes and food is The Coffee House which can be found at No.3 Buttermarket (to the side of the Town Hall which you can't miss as it stands majestically in the High Street). Robert Dowden is the proprietor and is such a real gent. He has supported The Thame Dolls House & Miniatures Fair right from the very first day back in 2004 when it was held in the Town Hall and which in those days was run by the local Thame dolls house club (our official name is Market Town Miniaturists but we call ourselves MTM for short these days). In fact, in his window this very moment is the model of The Coffee House that yours truly created as part of the club's very first project ....(we all had to make a model of a Thame shop front out of a box file)! 1/12th scale model of The Coffee House as it was in 2004 - the wooden stand at the front must be a more modern addition! I have to say that considering the model is now 8 years old it is wearing well and I am still very proud of it. 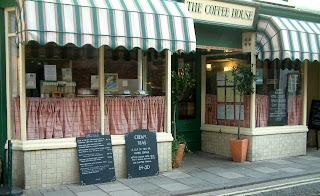 Actually the cafe's frontage has not changed hugely since 2004!!! Every year, Robert kindly promotes the fair and the charity Breast Cancer Campaign...which for those of you who didn't know, this charity is a huge part of the Thame Fair which helps make it so special. 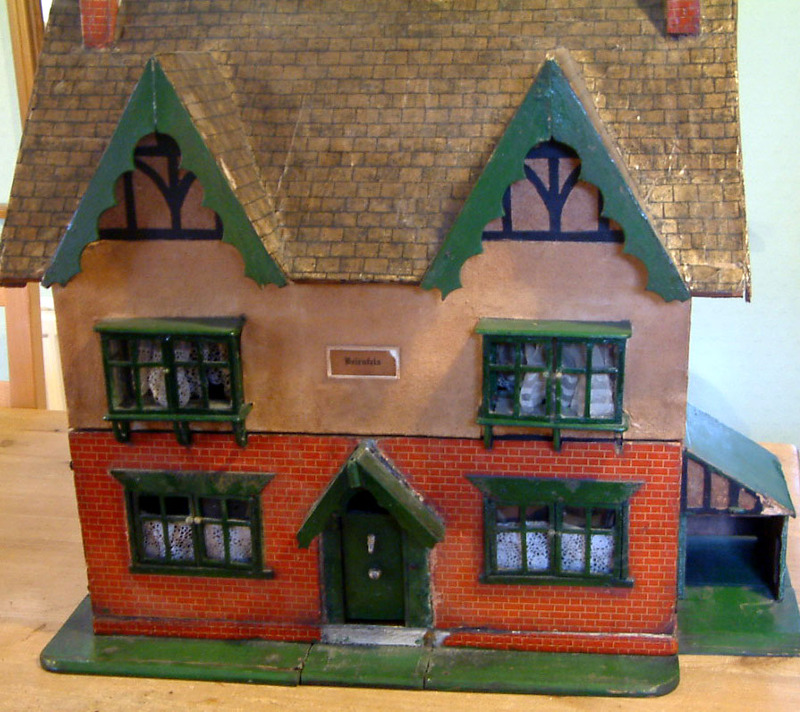 In fact after the very first fair, Robert donated a considerable sum of money to the charity in order to purchase this model. As I said...he is such a gent! 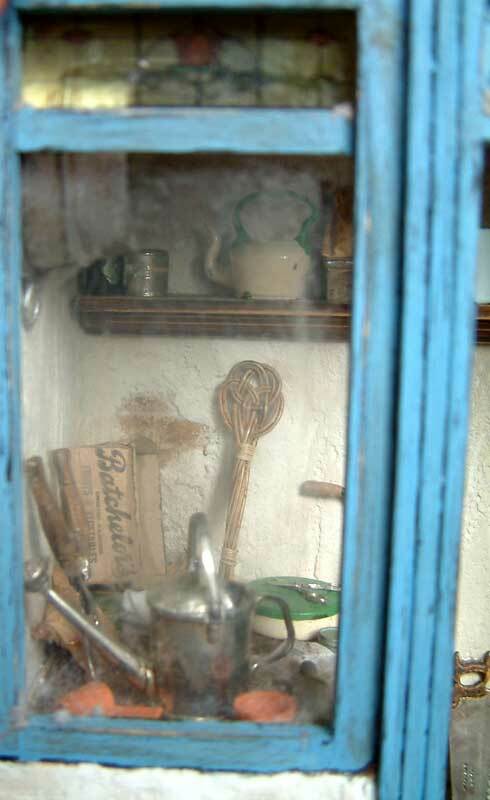 He does not have a website but his wife does, who runs Ruby Moon next door at No 4 - 5a Buttermarket. 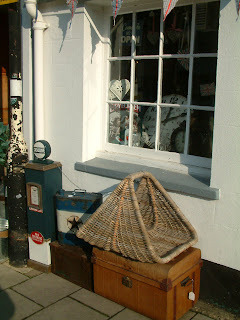 It is a rather lovely shop that sells all kinds ranging from leather handbags, candles and incense to chandeliers, antiques etc. Wonderful -well worth a visit! And finally.....there are a number of brilliant gift shops in Thame....but this particular one ranks amongst my all time favourite. 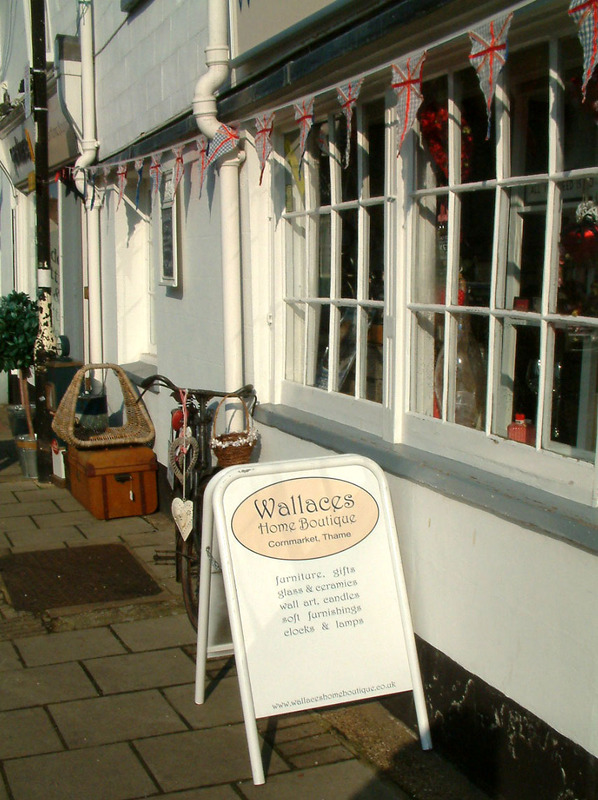 If you, like me, are into all things vintage - particularly 1930s, 1940s & 50s ...you will love Wallaces Home Boutique which can be found at No. 2 Cornmarket (opposite Sainsburys by the traffic lights). 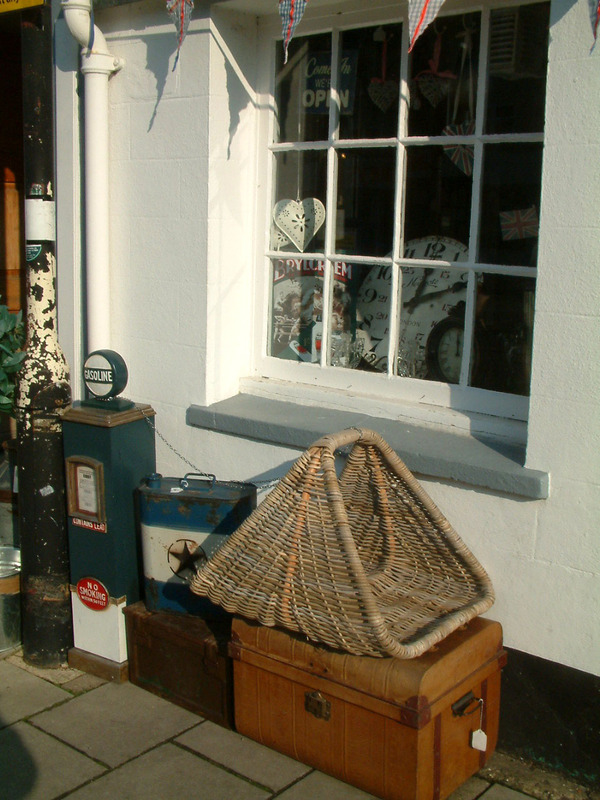 John and Diane have an array of home ware and gifts mixed in with real vintage items and whilst you are taking the time to peruse, you can often hear oldie music playing quietly in the background. It is hard to describe what I like so much about the shop....but to me, as soon as I step inside, there is a very special and welcoming atmosphere. I also find it very inspirational with my work and when I am sometimes lacking in creativity on a particular project, I sometimes visit certain local places that help to get the creativity flowing again......and this is one of those places! They have a website and deal by mail order too....so if you are not able to come to Thame, you may enjoy perusing their website instead (see live link above where their name is highlighted). 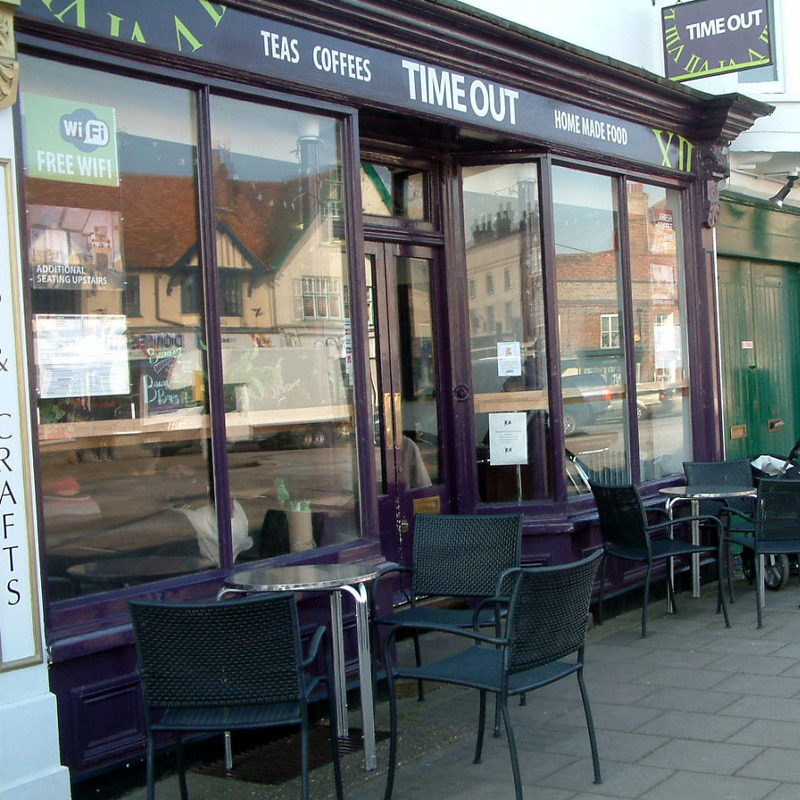 Do take the time to check these all out when you visit Thame! Of course there are many more shops you will enjoy visiting including Greens Furnishings who have a brilliant haberdashery section & Piece Of Cake which are both situated in the Upper High Street. Not forgetting some wonderful charity shops too including a magnificent Oxfam Book Shop . There are other super historic pubs, restaurants and even Thame Museum to see in the town...you won't be disappointed.